Bob Pridden has watched The Who perform more times than anyone else on the planet. The band’s long-time sound engineer, he joined during the pop art era, watched them transform guitar music with the rock opera ‘Tommy’, and then took them to American stadiums during their swaggering, record-breaking, hotel-shattering pomp. Entering a whirlwind, Bob Pridden was tasked with channelling one of the wildest beasts in rock ‘n’ roll. Keith Moon’s flamboyant, untamed drumming. John Entwhistle’s incredible, symphonic bass player. Roger Daltrey’s mic-swinging, blues-shouting delivery. And Pete Townshend’s incredible auto-destructive guitar techniques. The movement between showbands and variety shows towards life-changing counter-cultural groups had many foot soldiers, but the lowly sound engineers were the ones who took that studio experimentation and translated it to a live environment. The reason for our chat is the release of The Who’s show from New York’s Fillmore East venue in 1968. A truly blistering experience, it captures the band at a crossroads, moving from Mod heroes to stadium giants. Bob was with them all the way, and was initially appalled at the American circuit – little more than reconvened baseball grounds used for rock shows. 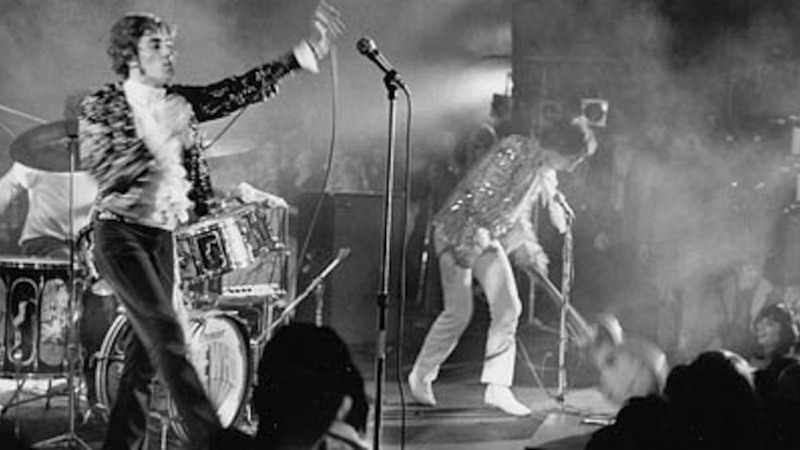 The show is famed for some of Keith Moon’s infamous antics at New York’s Waldorf hotel. Even the very mention of the name has Bob collapse into laughter. The show at the Fillmore took place at a tragic time in American history, with civil rights leader Martin Luther King being shot dead only a few days before. Tension was high across America, creating a palpable atmosphere on the streets of New York. The minute the doors of the Fillmore opened, though, a different world was created, far removed from what was outside. The show is notable for a number of firsts - ‘C’Mon Everybody’ enters the band’s set after a run through in the dressing room, while the old New Orleans number ‘Fortune Teller’ also gains its inaugural airing. For Bob Pridden, though, what’s important is what comes next, the direction the band were accelerating towards. Many of The Who’s shows in this period ended in outright destruction – from Pete piercing the roof of a venue with his guitar, to Keith Moon loading his drumkit with cherry bombs for the band’s explosive set on The Smother Brothers TV show. It was Bob – and people like him – who had to piece these instruments back together in order for the tour to continue. How, indeed. Then and now, hardly anyone could top The Who. 'The Who - Live At The Fillmore East 1968' is out now.